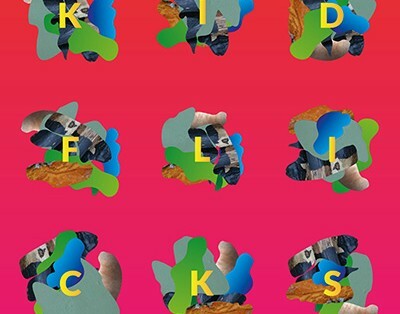 Kid Flicks is a band started by greek experimental pop / word-music-obsessed producer, songwriter and graphic designer Nickos Devisis. After a series of well received gigs, he released the exotic dream-pop album “Hearts of Gold” (Inner Ear Records), which was recorded on his macbook while traveling around Greece and Europe between 2008 and 2011. After releasing a 2-track EP through Bad Panda Records his second full length, “By Typing ‘I Talk’, You Don’t Talk”(Inner Ear/V2 Records), comes in 2013. 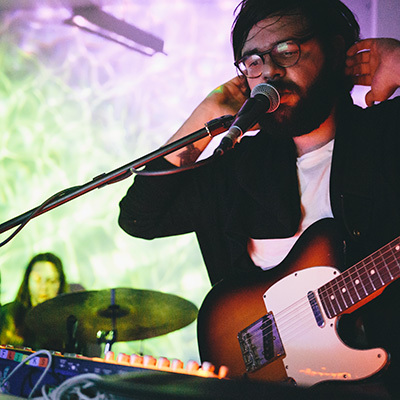 The album followed similar lo-fi sonic patterns as his previous efforts, but explored darker themes such as depression and passive isolation and a 90s nostalgia vibe. His music has been praised by media such as DIY, Impose, No Fear of Pop, The 405, Decoder, GoldFlakePaint, Son of Marketing and more. 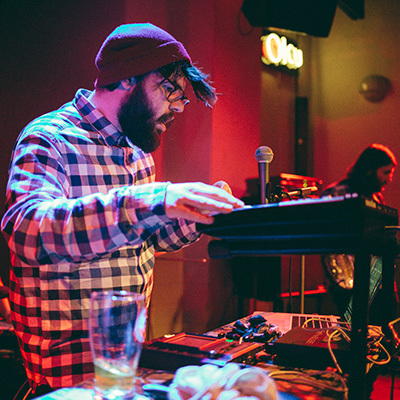 In late 2013 he formed a 4-piece ensemble for his live performances, including drummers/multi-instrumentalists Danae Palaka and Haris Neilas, as well as bassist Themos Ragkousis, which soon developed into the creative engine for Flicks‘ next LP. They have shared the stage with artists such as Slow Magic, Craft Spells, Piney Gir and nearly twice with Omar Souleyman. Recently they performed at Glimps Festival in Belgium and were one of the subjects of CBC Arts documentary “Interrupt This Program”. 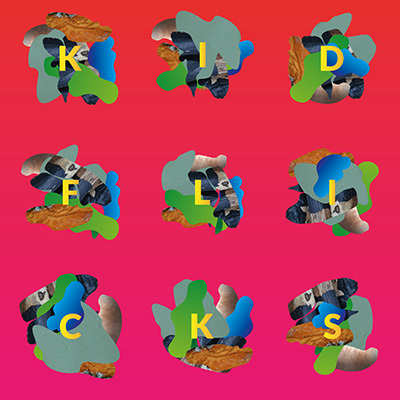 Kid Flicks’ new self titled LP differs in tone from his previous releases. Highly influenced by the bright side of contemporary athenian life, multiculturalism and the internet culture, Kid Flicks created a unique album which draws from various genres and styles. 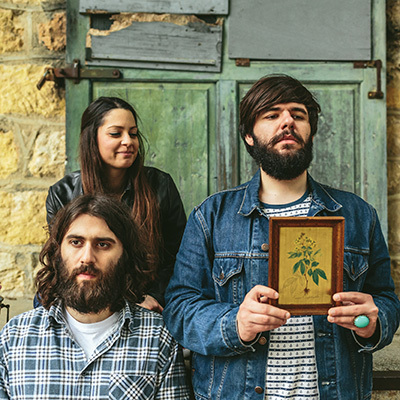 From electronic and sample-based music to psych pop and world music, the album is full of upbeat pop melodies, explosive middle eastern percussion and a wealth of harmonised layers and textures. “Kid Flicks” will be released digitally on May 23, and will see it’s vinyl release on June 23 2016 through Klik records, with a worldwide distribution by Wordandsound.